Ever since Don (of south san jose’s Don’s Datsun & Nissan specialists) mentioned to have my transmission checked, it’s been “grr-ing” like a mofo. Well not right away, just gradually getting worse and worse. Yep, clutch in, it’s all quiet on the 4-gear front. Clutch out, I can hear the gears turning ’round.. like rounding themselves out. Consistent grr-ing…. grrrrrrRRRrrrrRRRRrrrrr-type. Well, I couldn’t get the fill plug off. So I drained it anyways. Why? because in a pinch, you can fill via the reverse light switch which is also on the same side as the fill plug. So I did. Upon draining the 280’z transmission oil, guess what I found?! bits and pieces of metal! not like small metal shaving that are typical of manual transmissions (from accidental grinding gears), but full on, well designed, shaped pieces of something. 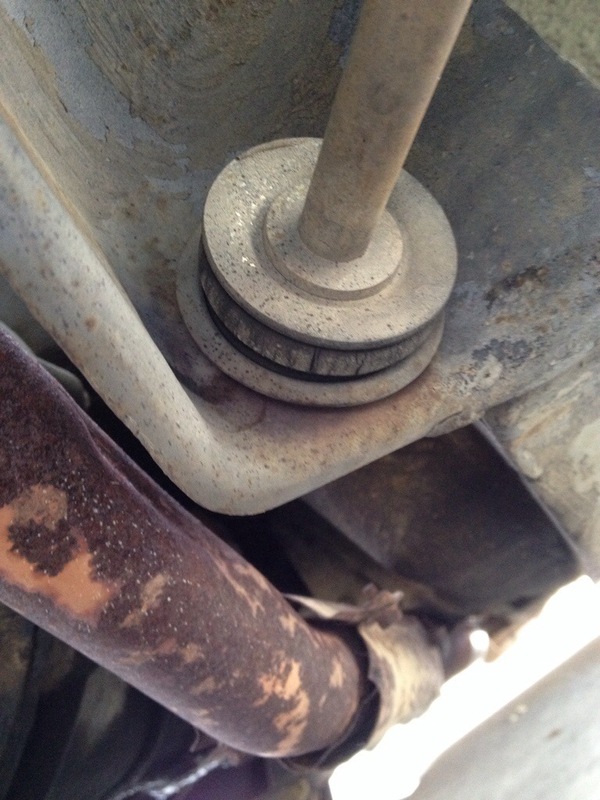 I also noticed the transmission drain plug was magnetic (ah! that’s why they’re magnetic), so it must mean that the fluid was changed somewhat recently (clarity of the liquid supports this). After browsing ClassicZCar.com for some answers, and studying up on my 5-speed options, I fell upon this picture…hey! those are the pieces! Well, what can we do now. Just fill’er up and figure it out. Pumped in about 1 quart of 75W90 Lucas gear oil into the transmission case, which is just about what the case can hold given that I was filling into the 280z’s reverse light switch instead of the fill plug which is a touch higher. Reverse lights weren’t working, not because bulbs were out, but because the contacts weren’t attached to the reverse switch . 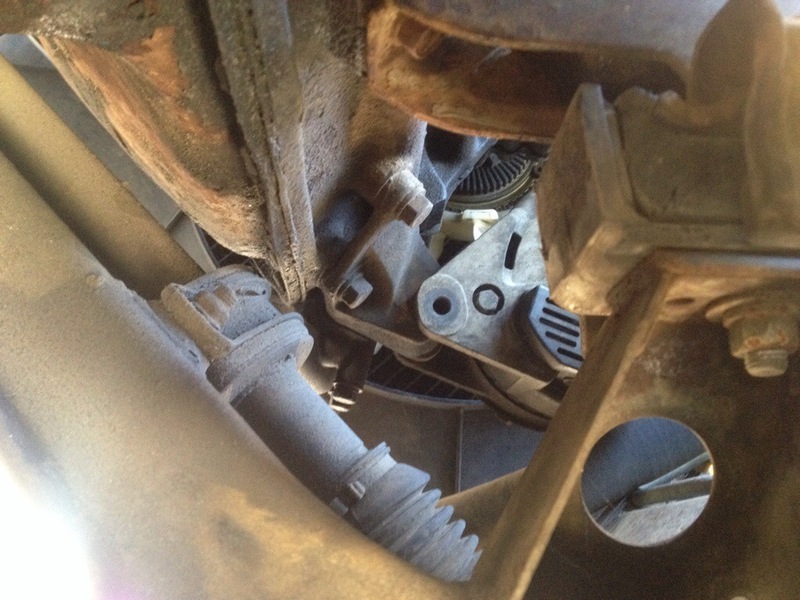 Also.. why is one of the alternator bolts missing? Yesterday I have the Z a well-deserved, long overdue car wash. Man, I still can’t get over the classic Z, S30 body style. Early Monday morning I also did a super long overdue oil change! Ugh! I think a quart came out.. At best. Anyways – 5 qts of 10w30 synthetic high-mileage, fuel filter, and a couple of revs later, this cat was purring nicely. Oil pressure looking good. 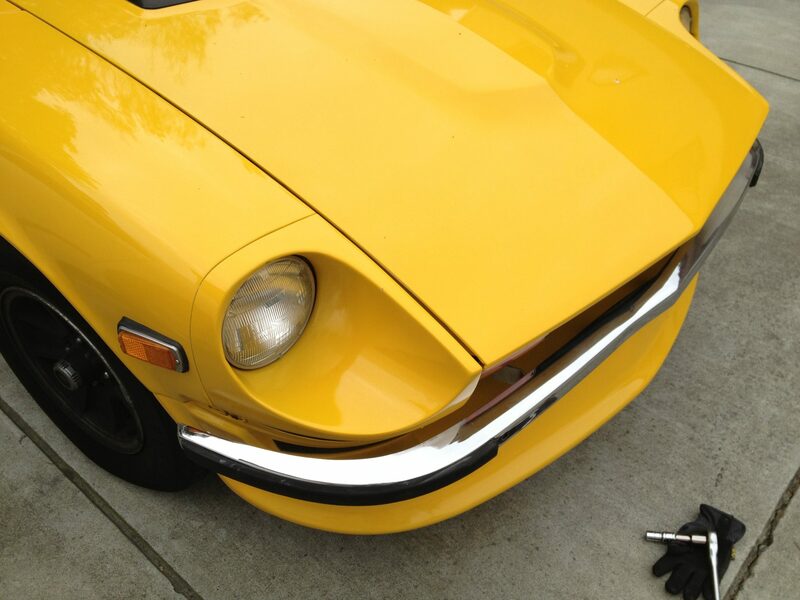 Did an oil change on the 280z this weekend. 5 quarts of Mobil 10w30 and the car is purring. This is a bit of an experiment because I’m using slightly thinner oil (i used 10w40 last time). 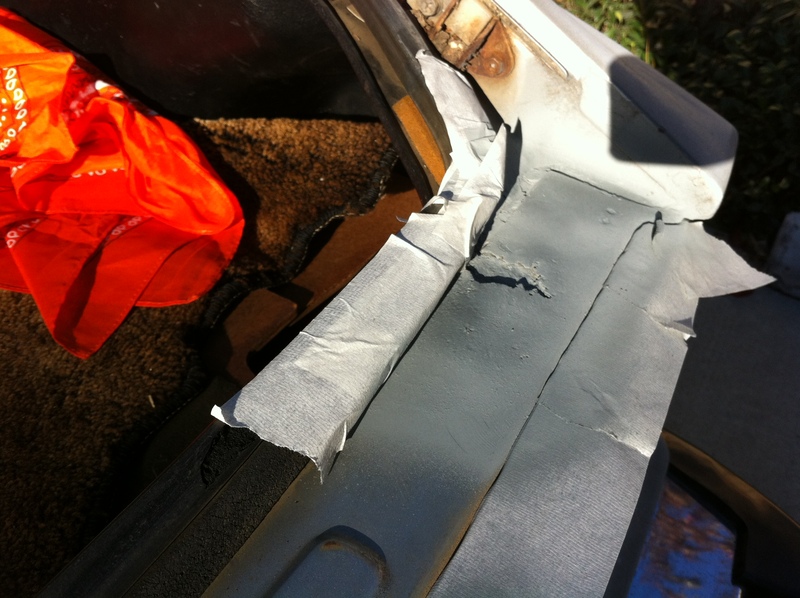 Hopefully all the gaskets and seals will hold up, otherwise, it’ll help show where there needs to be re-done. 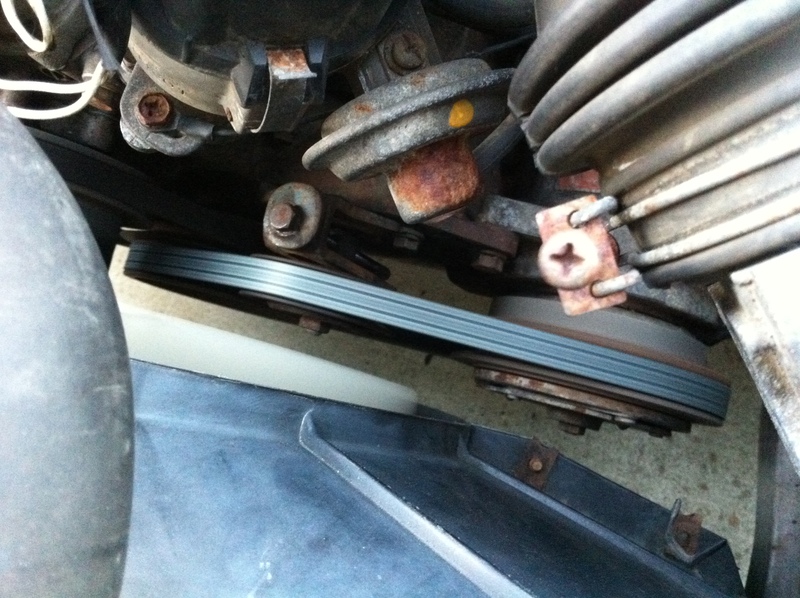 While i was under car, i noticed a pulley without a belt… then another pulley… and another! Hmmm i don’t know why i didn’t see that before – though i DID always wonder why the AC never got cold nor did i feel the engine power reduce a touch when turned on. 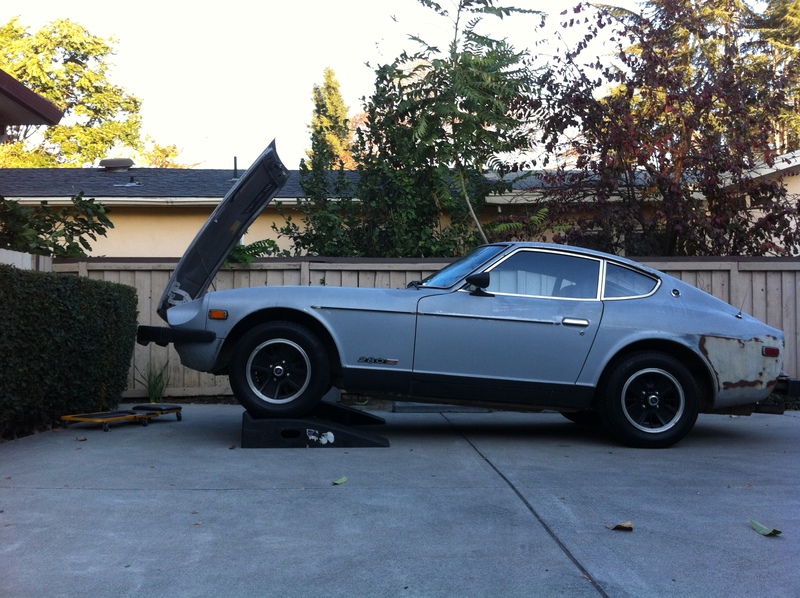 For those looking: Datsun 280z AC Cold Compressor takes a 11/16″ x 36.5″ belt. 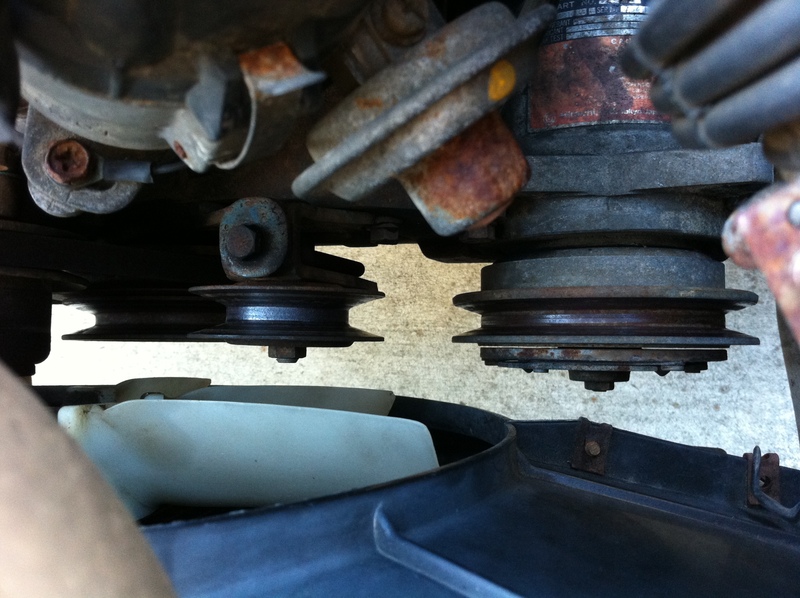 I had to lower the adjustment pulley all the way down before i could get the belt on. 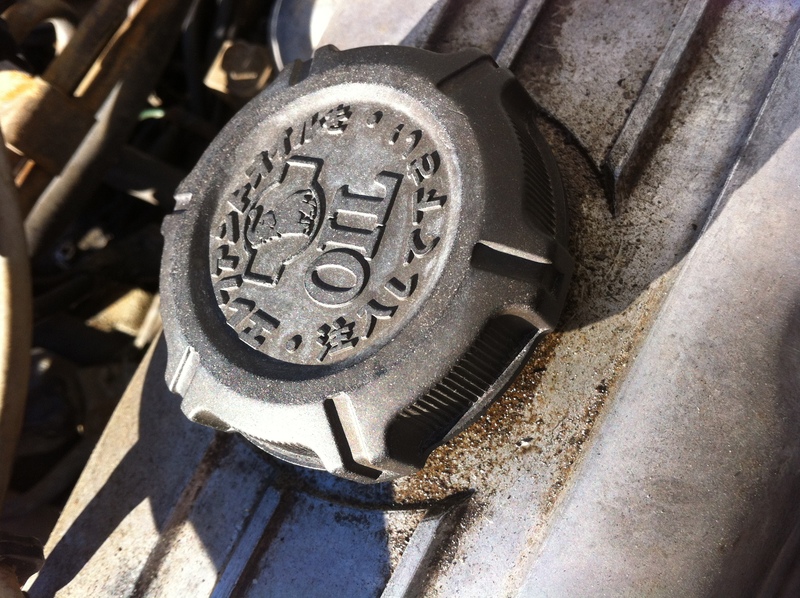 The elusive Elephant oil cap! Kris gave this to me for Christmas and I couldn’t wait to put it on! I remember first seeing one of these – Kris mentioned this little gem when he had the 510. There it sat atop the L20 valve cover. Proud. But is it about the Elephant oil cap that makes it so.. special?! – These caps weren’t used on the US models, but on the Japanese / Aussie models. – Elephant branded oil and lubricants from Nissan pre-dates the 240z. – The elephant was used as a symbol to commemorate successes in the East African Safari Rally. Yes! you read that right, the datsun gets 18mpg :] Since it’s first fill up, i’ve driven 226 miles on 12.5 gallons. 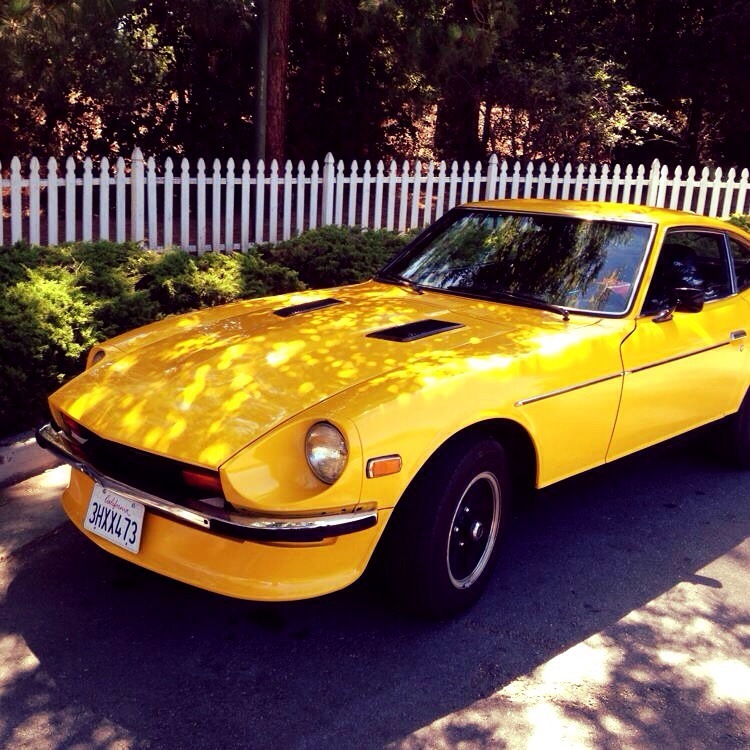 And… that puts it about par w/ other 280z’s i think. So NOT the fuel sipper that the Scion xB is, but better than expected! Oil Pressure – I’ve noticed the fuel pressure gauge is reading somewhere below normal. Supposed normal pressure should be at 45 psi, but the gauge is showing ~30 psi. I’ve also noticed on longer drives that the gauge will noticeably drop over time. But it can’t be too accurate as the engine should auto-shut off at ~2 psi, and let me tell you, i’ve seen that gauge hit rock bottom before. 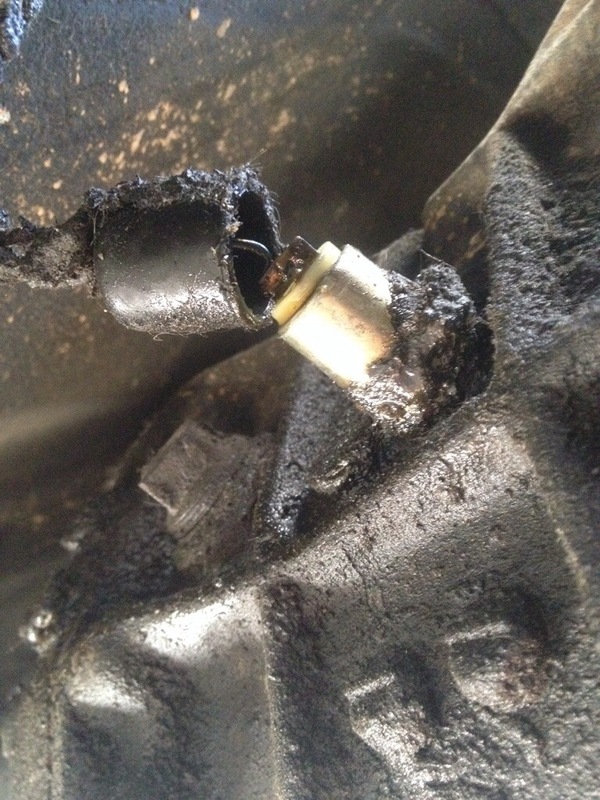 Now there are a few notorious things that could be the cause of this: 1) electric gauge is only an estimate, not as exact as a mechanical gauge, 2) oil pressure sending unit (or oil pressure gauge) is known to break down after a while, 3) possible oil pump, 4) need a thicker oil. First thing i’ll do is check the pressure w/ a mechanical gauge straight from the engine. That’ll give me a true reading from which i can assess whether the dash gauge is correct or not. If so, I look at replacing that oil pressure sending unit. 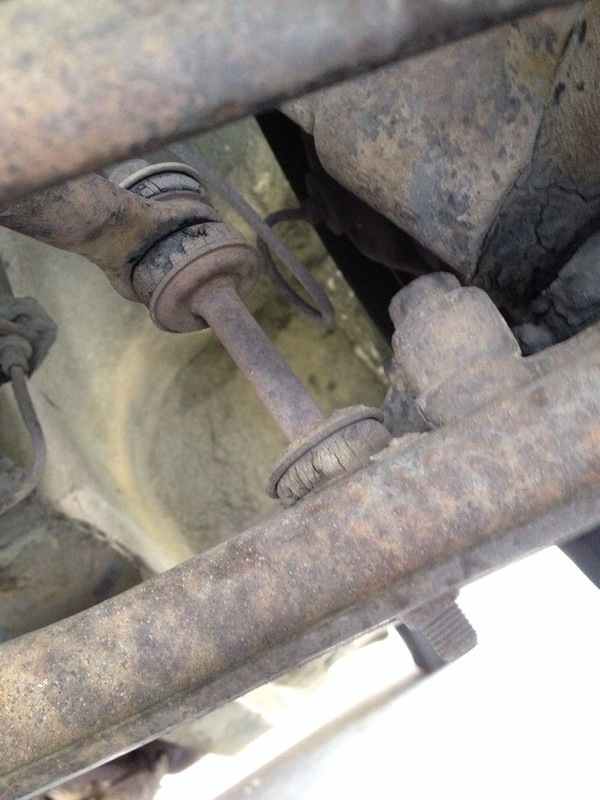 The “sending unit” is located next to the oil filter right on the engine block – kind of looks like a spinning top. 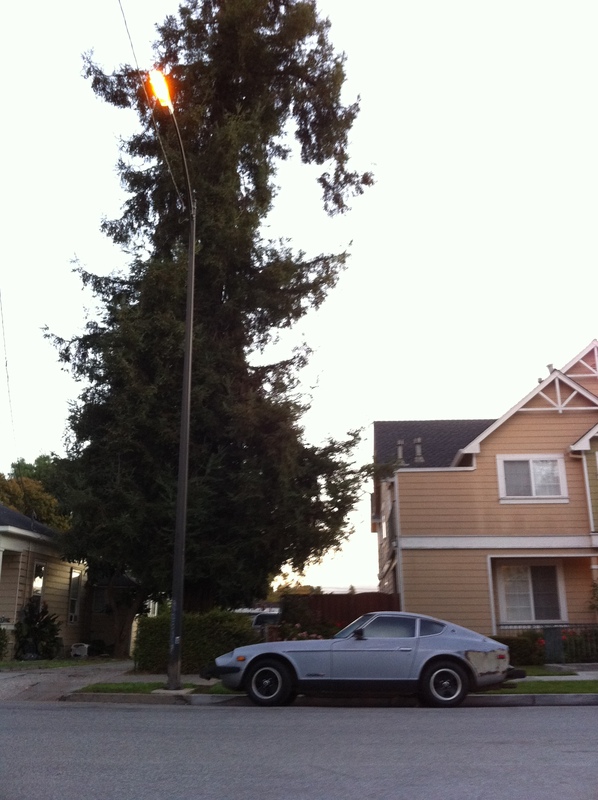 **Note** 1977 was a funny year – there are early and late models that have differences (ie. trunk deck shape). The Oil Pressure Sending Unit is also different: Early model had a bullet point terminal (shown here); Late models have the spade terminals. Also, it seems like general consensus that the Nissan factory units are better than the 3rd party brands. The day started at 7:30am this morning – I was so excited about wrenching on the 280Z that I was gonna get a head start at 2am lastnight! (Side note: from now on it maybe referred to as just ‘280’, we’ll see how it goes…unless i find a name for it – yes, gender-less for now). Squeek, Squeeeeeeek – Whenever I gave it some gas, there’s always this squeek that shrilled out from under the hood. Not good if you’re looking to turn heads in the bad way.. or trying to impress the parents that this was a good buy :] My Chilton’s Datsun manual is on it’s way, but i couldn’t wait till then. So upon checking the belts, I remembered my brother’s Datsun 510 manual said something about ‘tight..not too tight…1/2″ deflection..’ haha ok, well better than the +1″deflection this thing is giving now. One wheel had a very handy adjustment screw to lift it and give the belt the right tension. 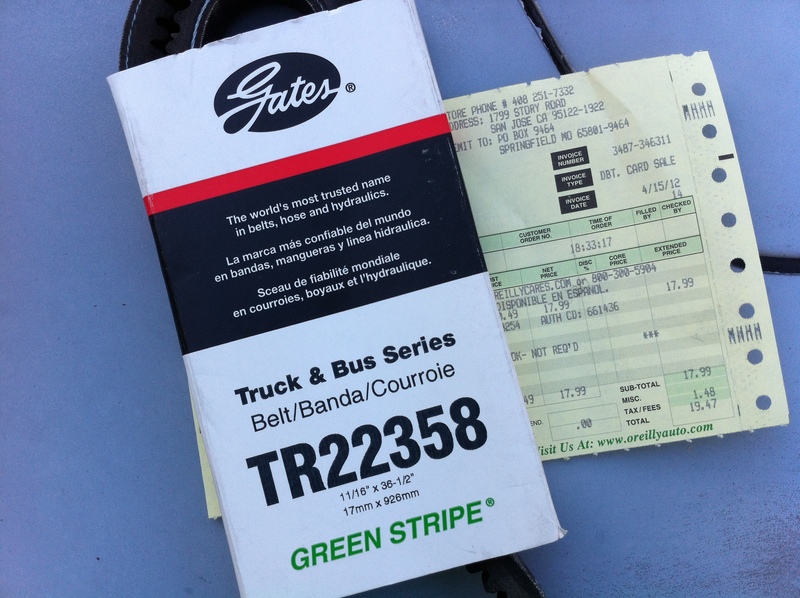 I’ll certainly revisit the belts once the manual comes in, but for now….squeek be gone! ‘Ink’ Change – Popped the 280 on ramps, popped the hood, popped off the oil pan nut off with my fingers.. wait.. with my fingers? Yep, it was literally being held tight by crusty oil around it’s edges. 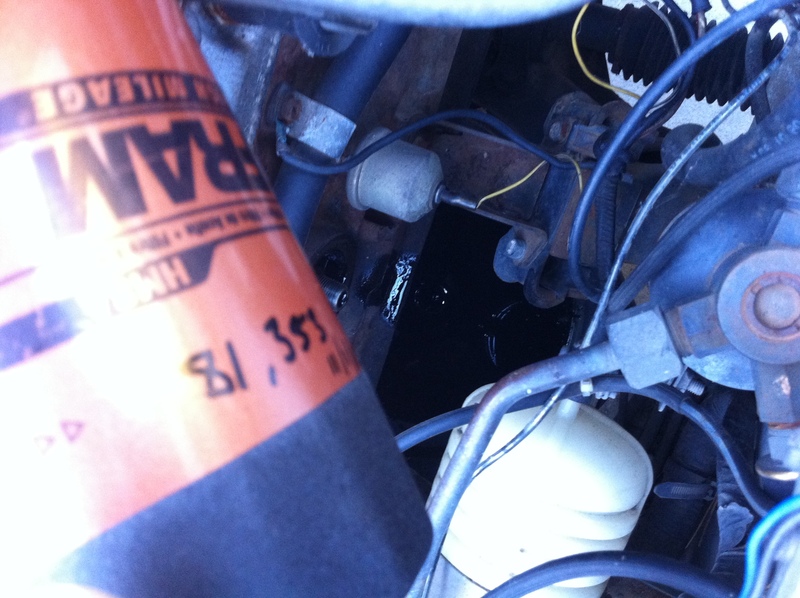 Same with the oil filter – only loosely screwed on! nice… Even better was the primordial blacker-than-black ooze now seeing the light of day since who knows when.. 1977? It was like ink, colored from the depths of space, kinda black. 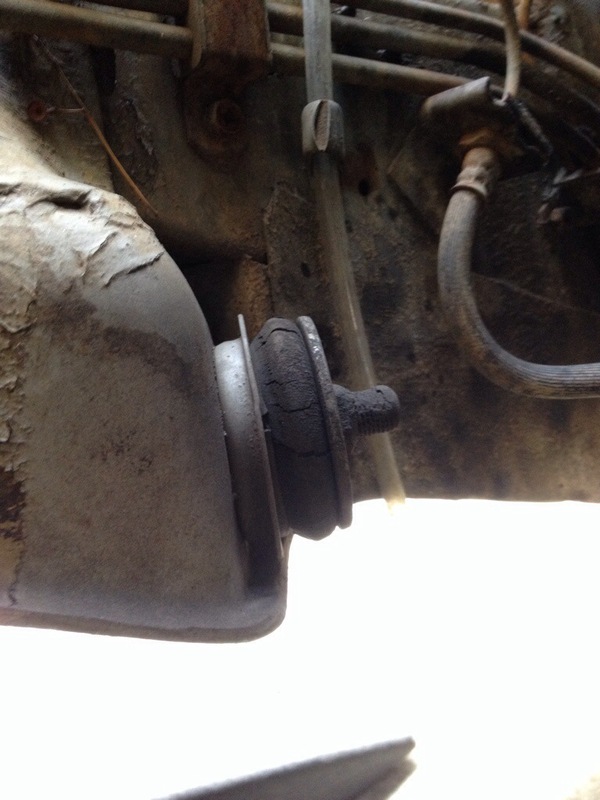 4 quarts of 10w30 high mileage later… pprrrr. 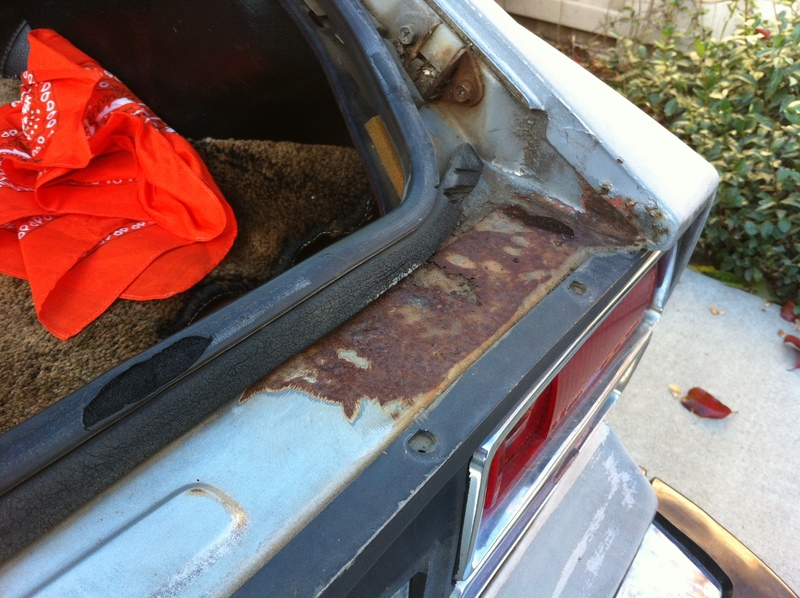 Minor Rust Work – Picked up a can of grey primer rust inhibitor to temporarily patch up the exposed rust spots before the rainy season hits. Already there’s moisture and water beads forming in the morning, so the weather is coming. Sanded some test areas to see how this stuff works. We’ve used some in black and of another brand previously on a motorcycle, but it’s only been 2 months and garaged, so this will be some real world testing. 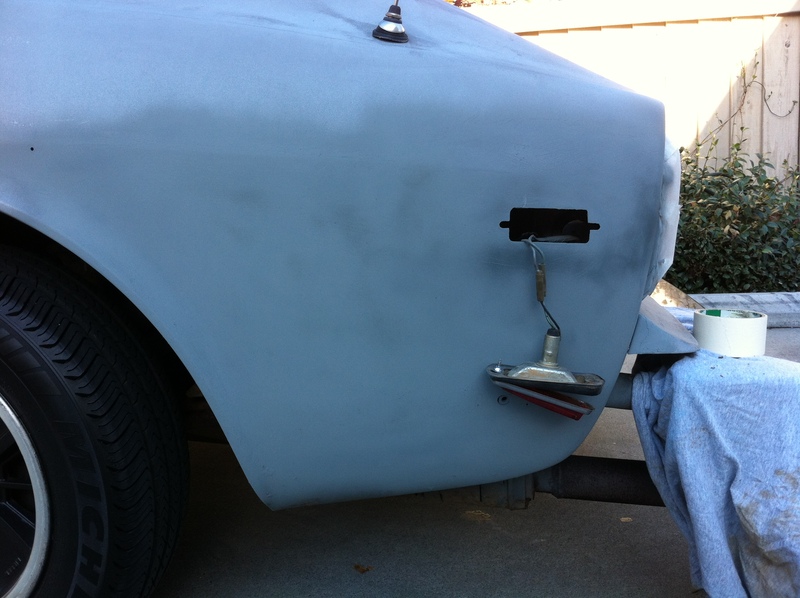 Quick tags on the inner hood (sanded, light rust), driver-side rear quarter panel (not sanded, previously bondo work), and a heavy spot under the passenger-side deck lid (not sanded, literally like a bit from the rust monster). I testing extremes to see what I can get away with. 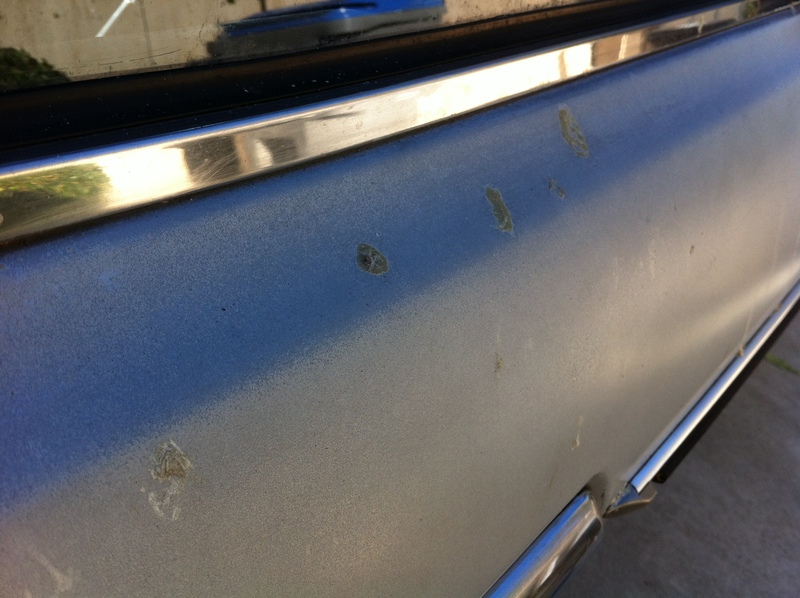 Tree Sap, Meet Razor Blade – According to wild Bill, the 280 was parked under a tree for 3 years; no the car isn’t a cupcake, and that’s not frosting. But nothing that a good ol’ razor blade can’t handle! 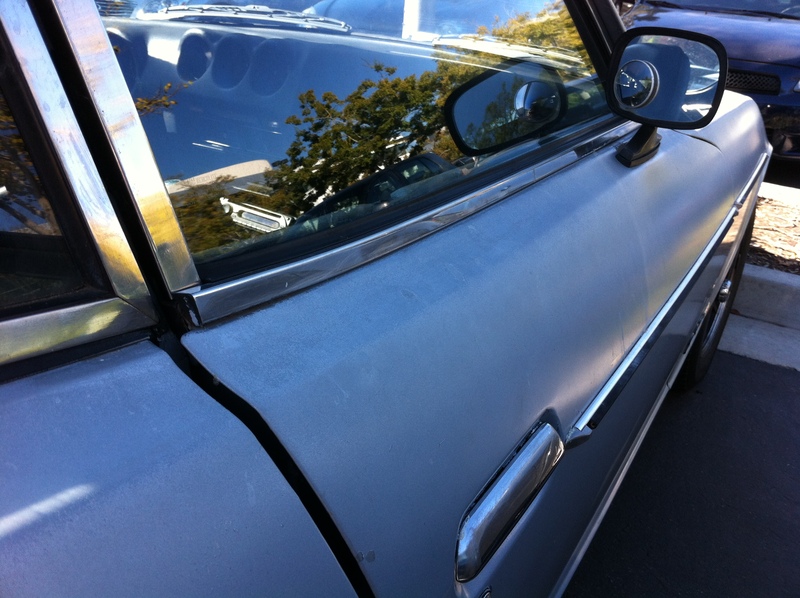 Cleaning the windows as a snap, and didn’t think twice about using it on the paint – why? cause the paints eventually going to go anyways. Regardless, sap’s gone and i didn’t even leave a scratch. Wipers – Again, rains a’comin’! 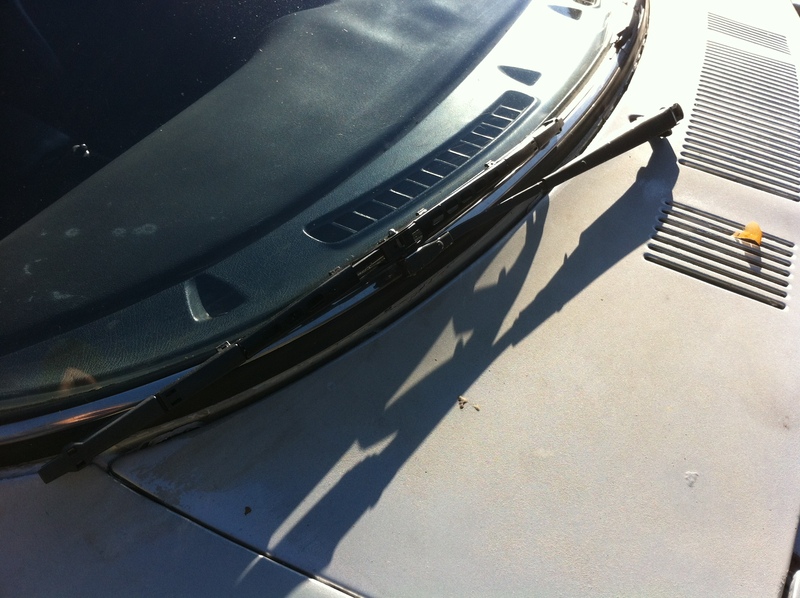 So I began to outfit the new wipers on the holder when.. wait a sec.. this isn’t like modern cars. Yep, it uses a pin, which fortunately, the wiper blade manufacturers have accounted for. There’s a tab that keeps in place, used the floor to help push the pin out – viola. Reversed steps to get the new blades on, and adjusted the wiper height w/ the screw to the motor. Upon sitting in the car, it looks a touch too high, so i’ll have to re-adjust that…test…aaaand the wiper motor doesn’t work. Tracking the problem maybe tomorrow’s effort. Upcoming – Wheels? Seals? Carpet? Paint? haha let’s spin the wheel! seriously, there maybe some panasports in your future. seriously.